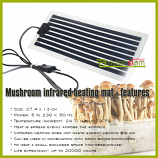 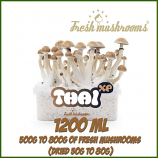 Growing with the Freshmushrooms 100% Mycelium Grow Kits is extremely easy. 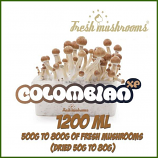 These kits are completely maintenance-free thanks to a fully colonised substrate without fillers. 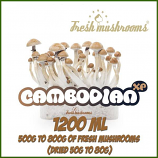 You hardly have to do anything to get your first flush with high levels of psilocin. 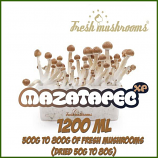 Follow the steps below and you will be assured a rich harvest! 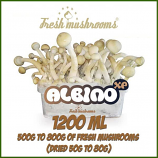 Cubensis mushrooms grown with the Freshmushrooms grow kits do not have hollow stems but are solid and contain a lot of (blue) psilocin. 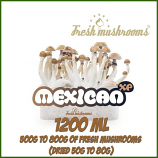 Of course, a mushroom is a natural product and some mushrooms contain more active substances than others in the same species. 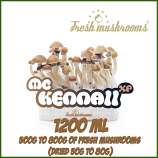 However, we invite you to compare them with other grow kit brands. 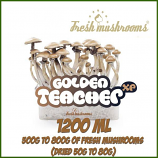 200ml and 2100ml grow kits. 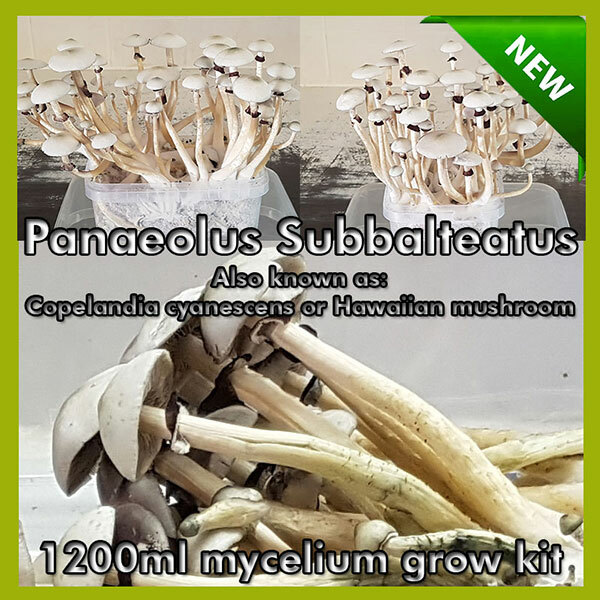 These grow kits contain 100% populated substrate (mycelium) and deliver several flushes. 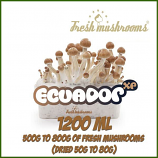 Depending on the timely harvest and proper maintenance of the grow kits, they sometimes yield up to 4 harvests. 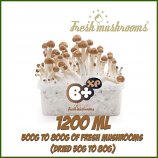 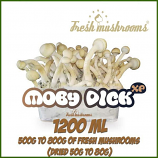 The 1200ml grow kit yields 500g to 800g of fresh mushrooms (dried 50g to 80g).